The Wildlife Conservation Section of the DNR Wildlife Resources Division administers a small-grants program for wildlife viewing projects in the state. Funding is provided by Georgia’s Nongame Wildlife Conservation Fund. 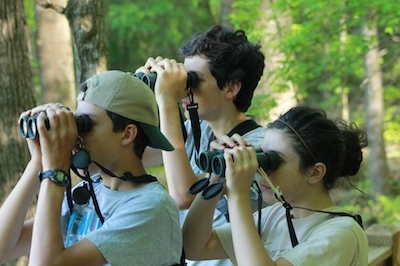 The grants are aimed at helping develop and improve wildlife viewing opportunities that increase public awareness and appreciation of the state’s nongame wildlife, rare native plant species and natural habitats, with an emphasis on species and habitats considered a high priority for conservation in Georgia’s State Wildlife Action Plan. In case you’re wondering, wildlife viewing is big in Georgia. More than 2.4 million residents and visitors took part in 2011. From feeding birds to visiting public lands to photograph animals and plants, they also spent an estimated $1.8 billion. Nationwide, the number of people involved in wildlife viewing increased from 71.8 million in 2011 to 86 million in 2016, according to the U.S. Fish and Wildlife Service. The fiscal 2019 cycle is closed. Details on applying for the 2020 grants will be posted by fall. Questions? Contact Rick Lavender, (706) 557-3327 or rick.lavender@dnr.ga.gov.